Black & Yellow. 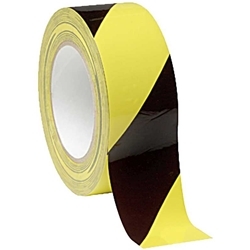 Perfect for making back-stage areas that are off-limits or dangerous. OSHA approved. Each roll measures: 2-inches by 18-feet.